What could you do with £1000?! Woodlands Hospice Lottery is holding its Autumn Superdraw on Friday 29th September 2017, which will see the top prize double in value from £500 to £1000! We hold two Lottery Superdraws a year – once in the Spring and a second one in the Autumn… so this is the last chance to bag the double money for 2017!! 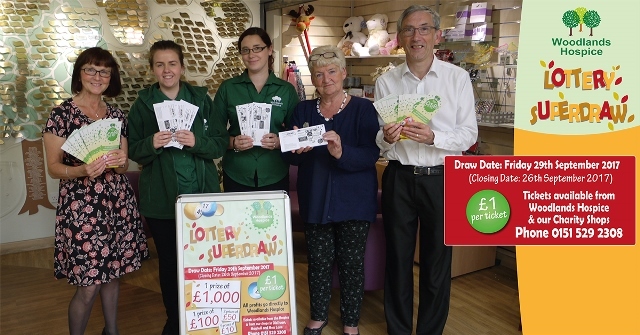 The Woodlands Hospice Lottery Scheme consists of members who pay £1 a week to be entered into the weekly draw, which usually has prizes of £500, £100, £50 and £10. All of our regular players will automatically be entered into the Autumn Superdraw to be in with a chance of winning the top prize. However, they are able to purchase extra tickets to increase their chances. You can also buy Superdraw tickets if you’re not a regular Lottery player and just fancy having a go at winning £1000 cash - just in time for Christmas! Tickets are £1 each and available to buy from Woodlands Hospice Reception or from any of our Charity Shops which are situated in Old Swan, Moss Lane and Maghull. We also have opportunities for anyone who wishes to sell tickets on our behalf on a ‘sale or return’ basis, if this sounds of interest to you, please call 0151 529 2308. Although each ticket is only a pound – they soon all add up to make a huge difference to the Hospice’s fundraising efforts and can really make a difference to our services, so a huge thank you to those who have already signed up and to those who continue to support us! Our Lottery Superdraw also comes as we welcome two new Lottery Employees to our team! 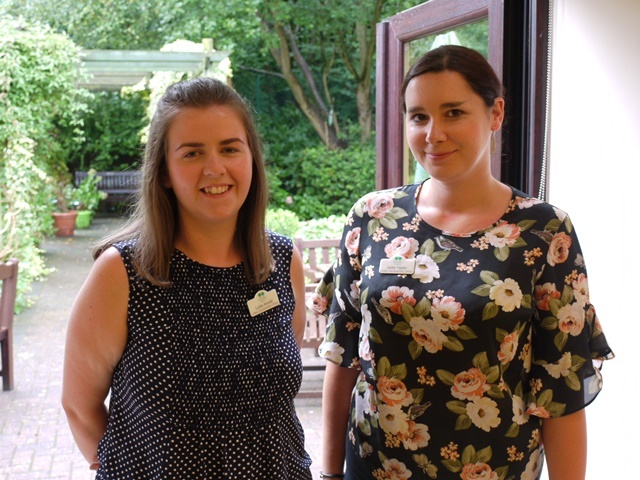 We’re delighted to introduce our new Lottery Promoters – Lydia Arnold and Jodie Taylor – who will be working within the local community to promote the weekly Lottery scheme and sign up anyone who wishes to become a member. Keep your eyes peeled for the ladies on their travels in your local area! The closing date for the Autumn Superdraw is Tuesday 26th September, with the winner being selected on Friday 29th September. If you’re interested in signing up to our weekly lottery or finding out more about the Autumn Superdraw, please contact us on 0151 529 2308 or click here to email.